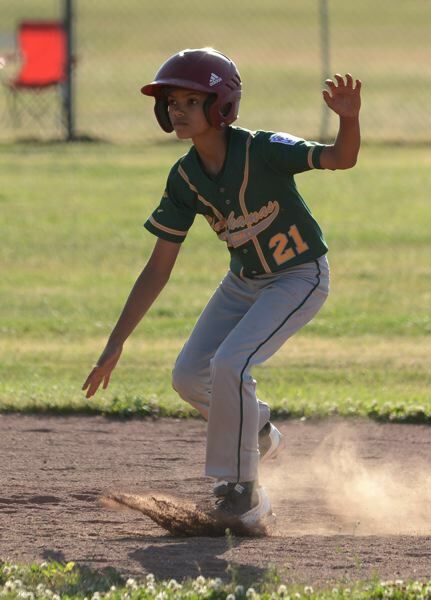 GRESHAM — The Clackamas all-stars took Southeast Portland to the limit before falling 6-5 in seven innings in the District 2 majors Little League championship game Tuesday night. A series of quiet innings sent the game into a bonus seventh. Clackamas went down in order in its chance at the plate. Jackson Owens led off the Southeast side with a single through the middle. A couple pitches later, Anthony Coate smashed a double to the right-field corner. Owens moved around the bases, starting some wild hops of celebration as he rounded third base and slid across the plate to win the game. The Southeast squad advances to play at next week's state tournament in Salem. View photos from the title game at davidball.smugmug.com. Look for expanded coverage ahead in the Wednesday, July 18, print edition.